There are a nearly endless number of benefits that come with using the widely popular, critically acclaimed MetaTrader 4 trade platform. One of these advantages is the ability to trade without having to download any software, as is the case with MT4’s Web Trader platform. 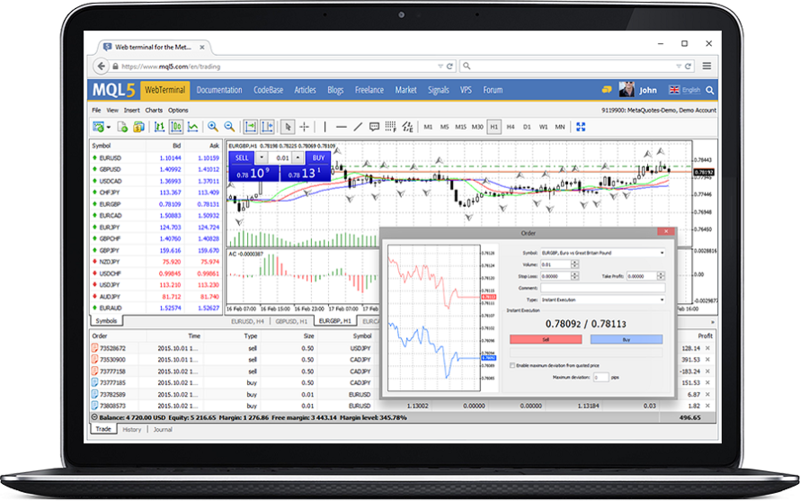 MT4 Web Trader is available to use on Windows, Mac, and Linux devices – all you need is an internet connection. Also, MT4 Web Trader can be used with nearly every Forex broker on the market. Start trading in just a few clicks, no matter your current location. The MT4 Web Trader comes equipped with all the benefits of the standard MT4, and since it is inherently part of the entire MetaTrader ecosystem, you’re virtually guaranteed assurance of its reliability. Whether you’re trading CFD’s in stocks, commodities, indices, or everyone’s favorite – Forex, you get access to all of the following MT4 features.